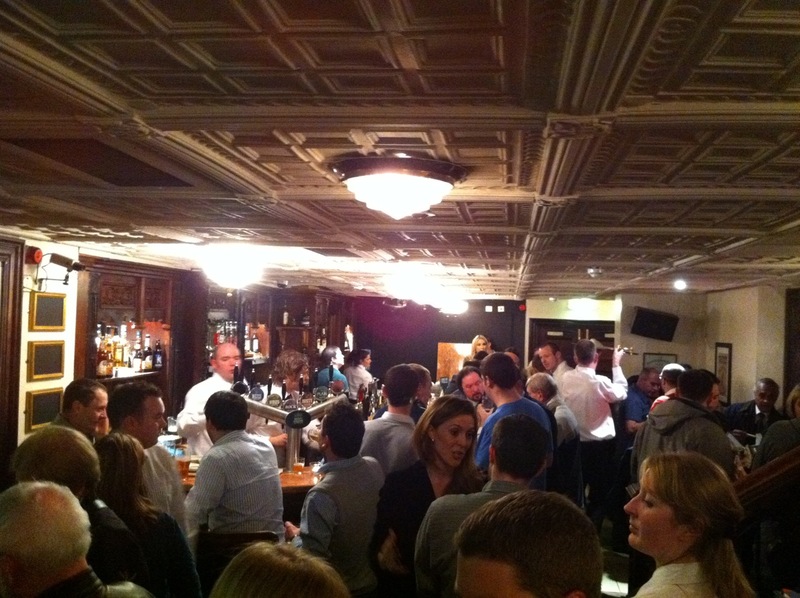 Dublin's only current brewpub (one that has an on-site brewery) is back with a vengeance. The on-site brewery has been idle for almost two years. Their house beers have been brewed off site by Cuilan, who has since moved to Templemore, Tipperary and set up White Gypsy. His protégé Melissa was smuggled in from New Hampshire to take over at Messrs and has spent the last few months organising the brewery. Last night was the launch of the Brewery Bar down in the basement of Messrs Maguire, or re-launch as it has been closed for a while. We got to taste some of the latest beers including a Cask pale ale from Cuilan and perhaps more interestingly, a wonderful American style Pale Ale from Melissa (brewed on the White Gypsy kit for now). Being a Hop head, and also being with a bunch of other Hop heads, some of which were Americans of course, we loved it. There was free entertainment, free food, free drink from 7 - 9pm. Mark Heng, an artist from Boston but living in Ireland, was there to draw caricatures of guests. Myself and my wife were the first ones he nabbed and I am quite pleased with the results. I just wish I had a Beoir T-shirt but they are not ready yet. A missed opportunity considering there was representatives from the Media there. 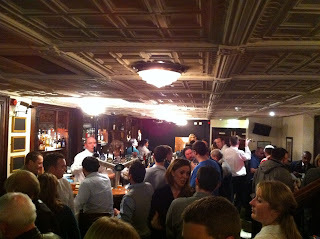 The basement bar was thronged with invited guests. Beoir members were invited as a matter of course as we are not only great customers, we are all about promoting Irish Craft Beer. This is Cuilans cask conditioned pale ale. It was very smooth and easy going. It was also 5% which was in no way apparent by drinking it. I wish Messrs all the best following the relaunch and I hope that the American Pale Ale becomes a regular, if it does I will be there more often than I currently am when I get to head in to Dublin for a night out. You can visit the shiny new Messrs Maguire Website.